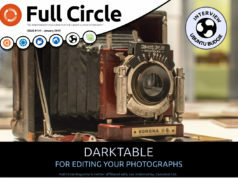 Home magazine full circle – the podcast ? Are you a keen podcaster? Think you can create an interesting and friendly Ubuntu podcast? Then why not submit a proposal to be the official full circle podcast? the podcast should be submitted for review before release. We will never censor the podcast but we do want to make sure the presenters aren’t blackening the full circle name! How do you plan on producing it? What length would the podcast be? And what will it contain? Why should there be another linux podcast? When would you release it? Which day? How often? The presenters of the podcast decide on the content, not us. Closing date for proposals: Wed. 31st October. Submit your proposals in this thread on Ubuntu Forums. Approximately one week later we will announce the team who will be making the official full circle podcast! If you have any questions about the terms or your proposal, feel free to email me, Ronnie (Editor). 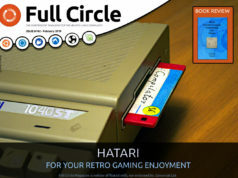 Next articleIssue 5 is out! Kudos to whichever marketing person coined the name ‘Podcast’. But since the term Podcast references the iPod, which is a proprietary device, why call them ‘Podcasts’? Why not just call them ‘audiocasts’?